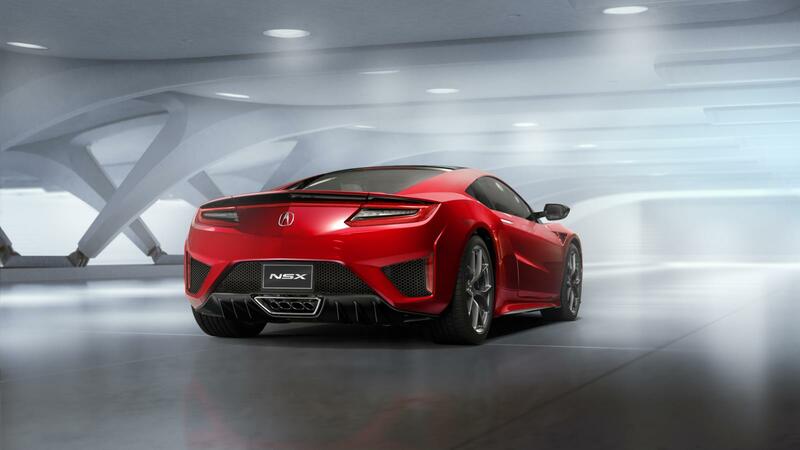 It’s been 25 years since the original Acura NSX supercar took the world by storm, but today marks the rebirth of an icon. 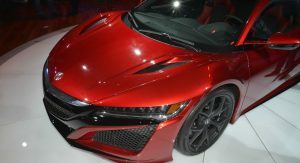 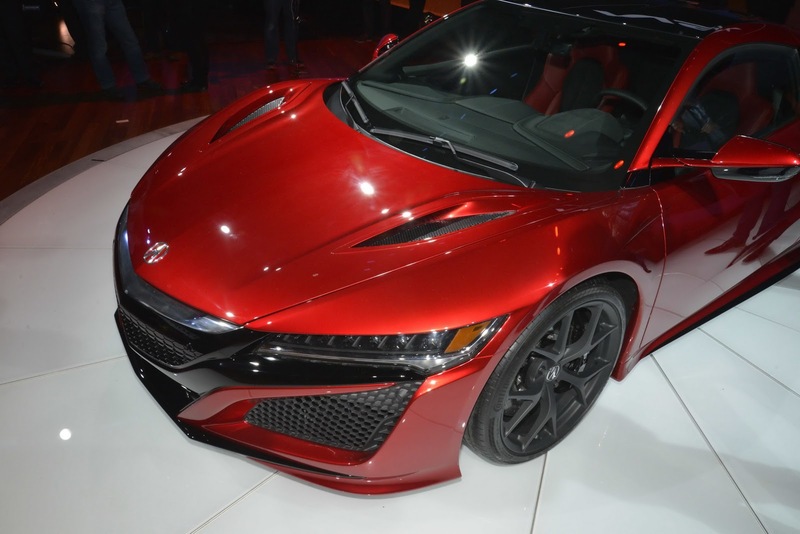 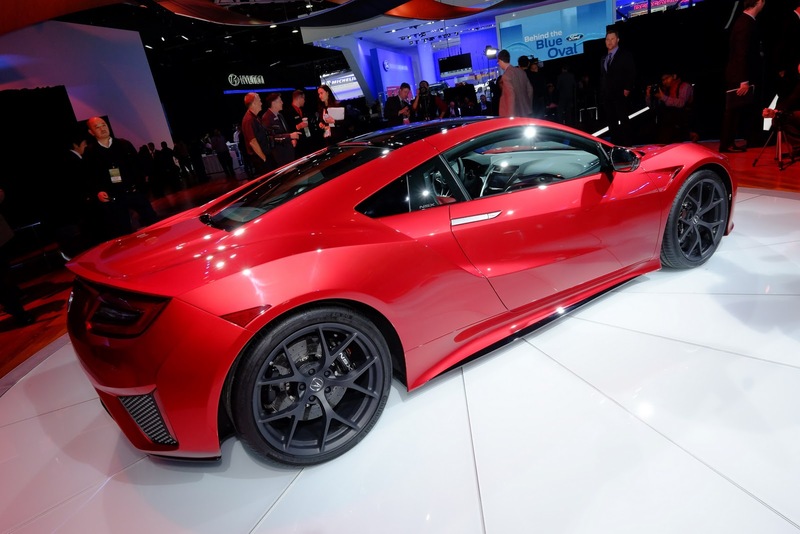 The all-new production model took the stage at the 2015 North American International Auto Show in a scintillating NSX Red finish! 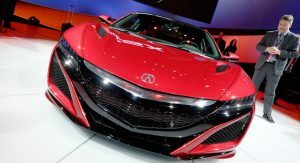 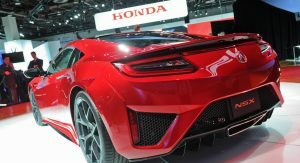 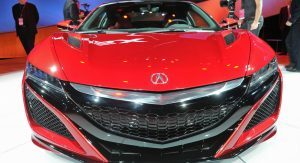 To put it bluntly, this next generation Acura NSX is a mid-engine hybrid supercar which will look to challenge conventional beliefs about supercars in general – just like the first NSX did a quarter century ago. The reason behind this thinking is an all-new power unit. 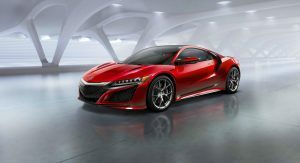 It’s a twin-turbocharged 75-degree DOHC V6 engine with a 9-speed dual clutch transmission and three-electric motor Sport Hybrid system, surrounded by an ultra-rigid and lightweight multi-material body. 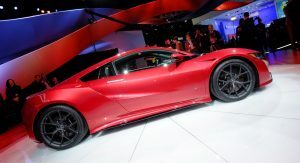 The philosophy behind it is the “human-centered supercar”, a car that puts the driver first in ever aspect of its design. 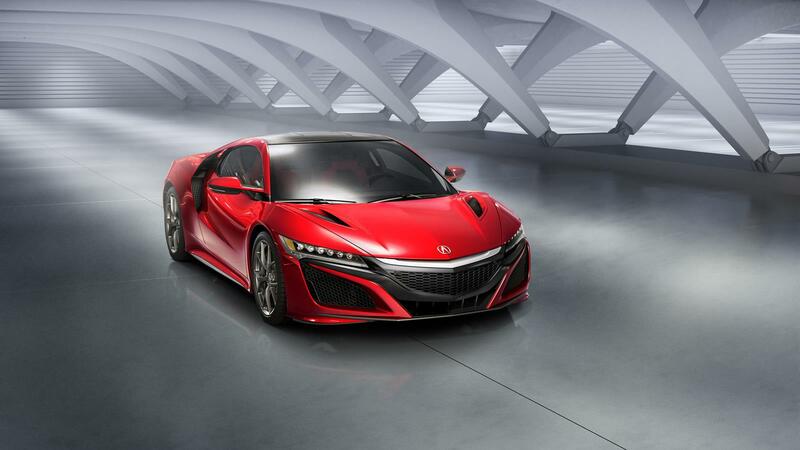 We can’t help but feel though that this car puts everybody first, including pedestrians – because everyone will surely feel its road presence even just by taking a glimpse. 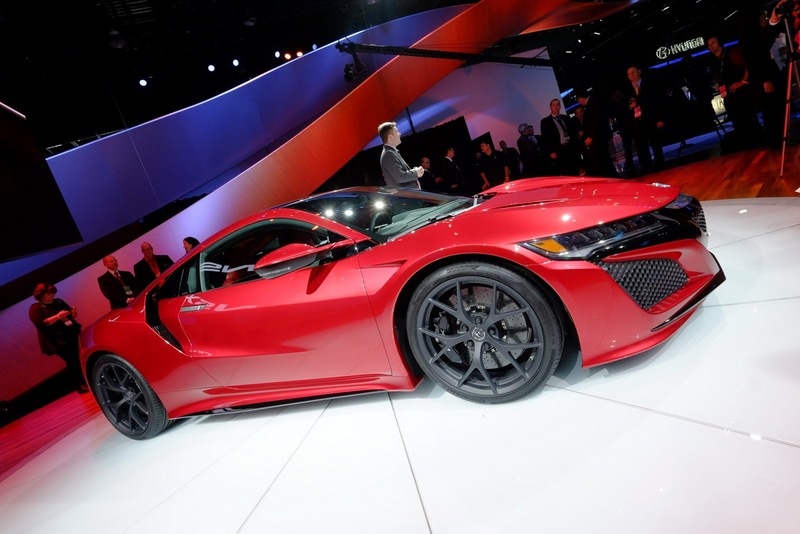 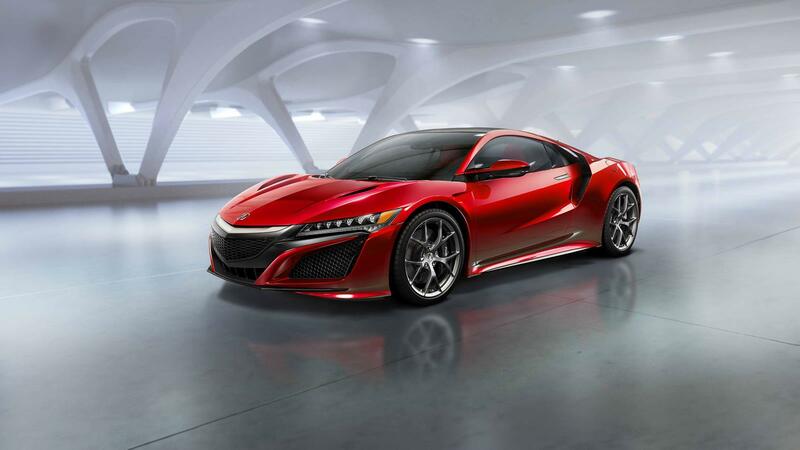 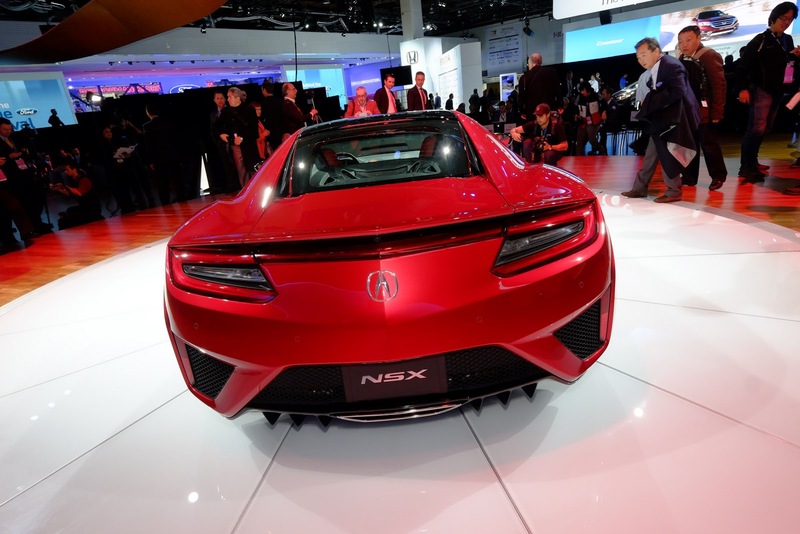 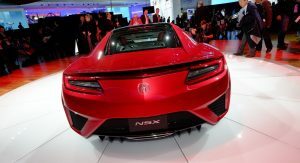 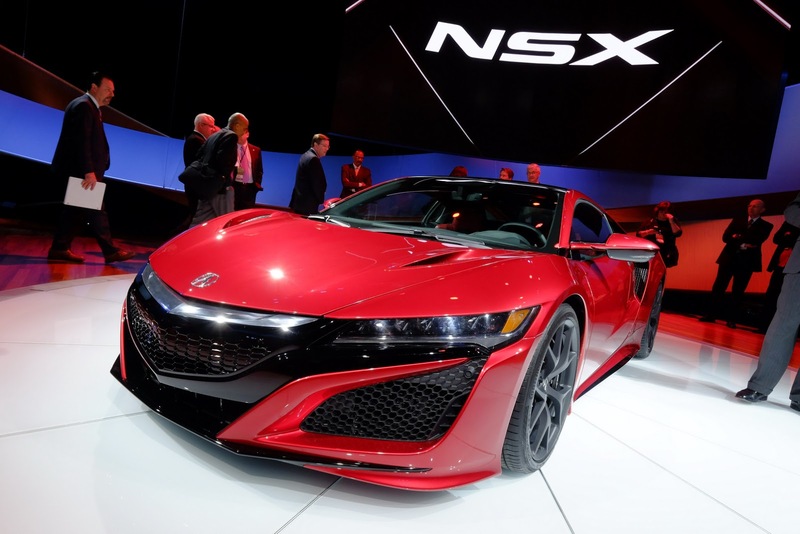 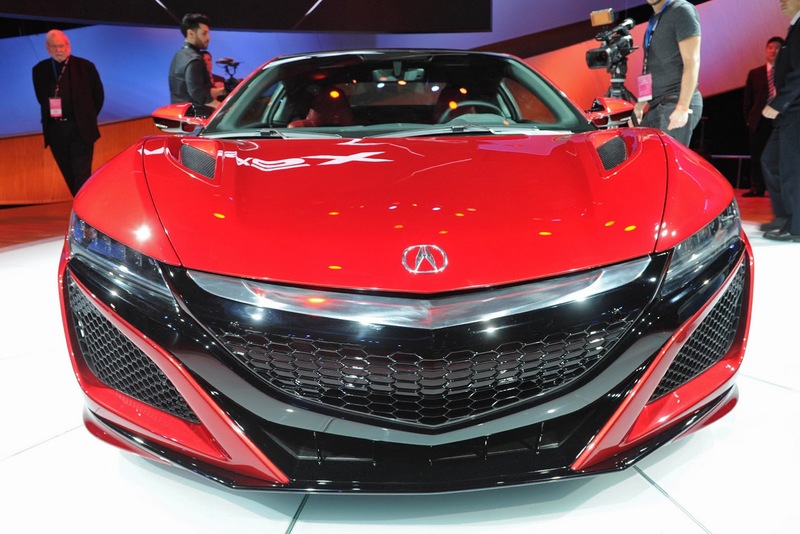 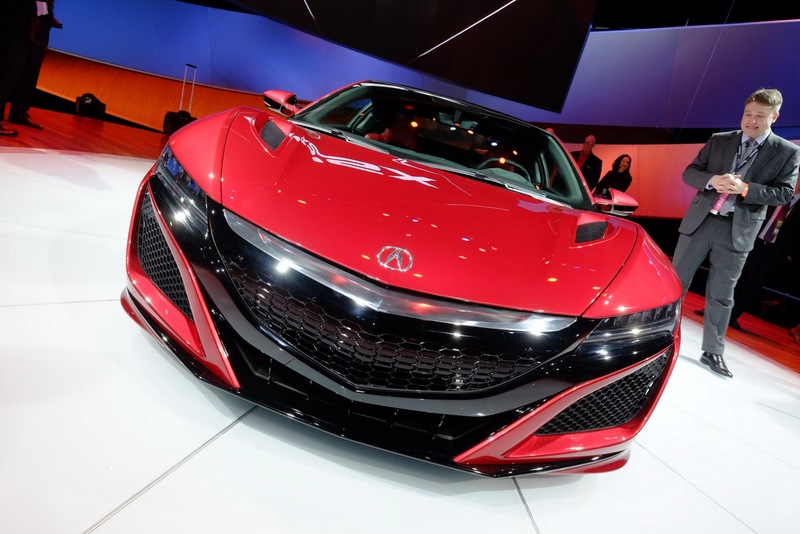 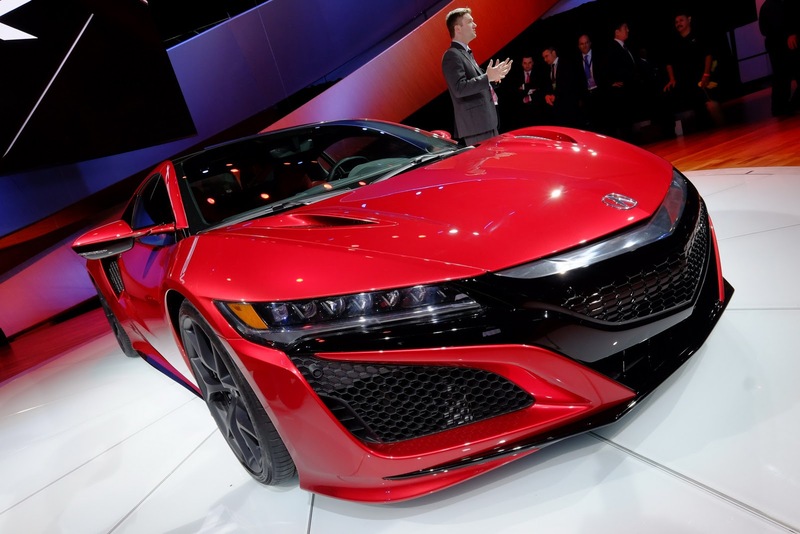 “The NSX reflects Acura’s American roots and makes a powerful statement about the strong role being played by our North American operations in envisioning and building the future of Acura” said Erik Berkman, executive VP of the Acura Business Planning Office. 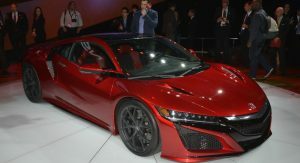 The NSX was developed and will be produced in the United States. Looking at the exterior, you’ll notice the aggressive front design and the gorgeous tail lights which pay homage to the original NSX. 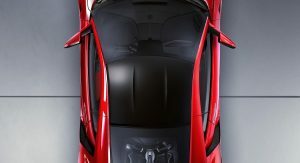 You’ve also got a signature side intake and floating C-pillar which help collect the air that’s being fed to the mid-mounted engine. 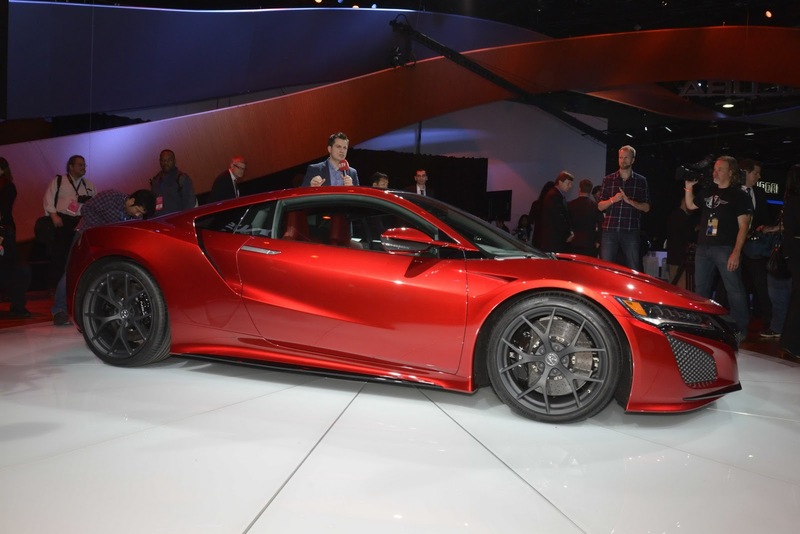 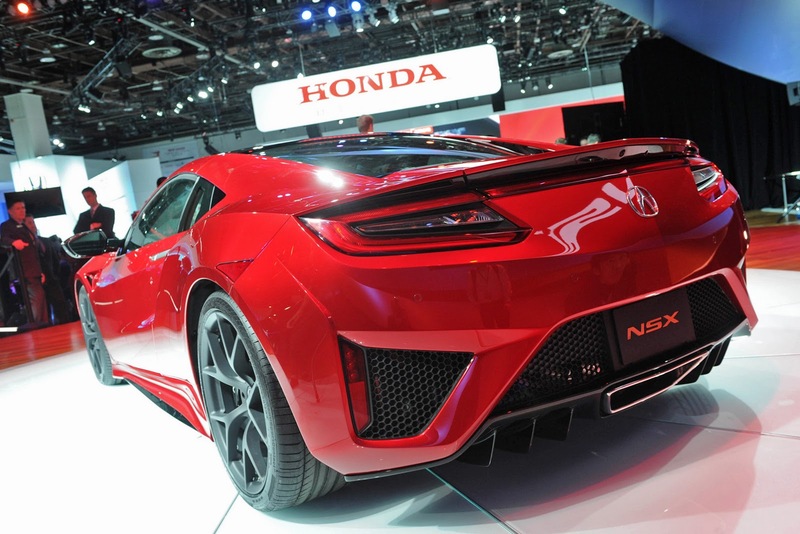 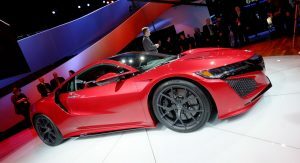 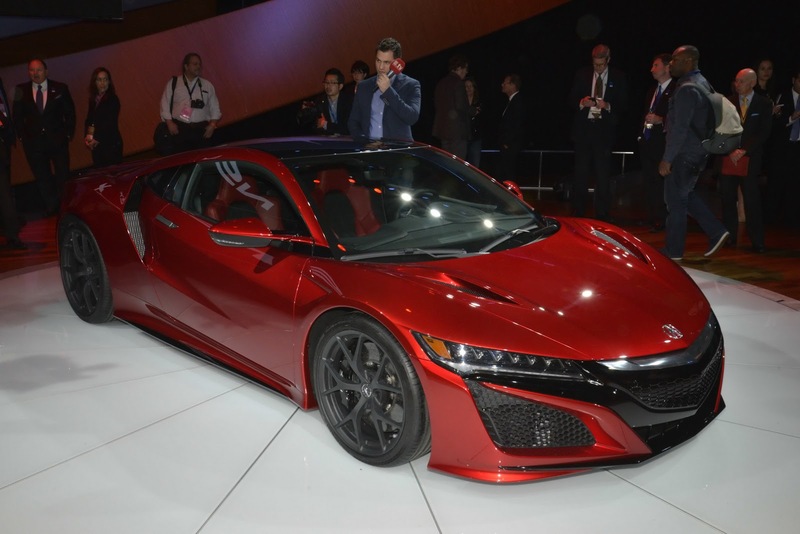 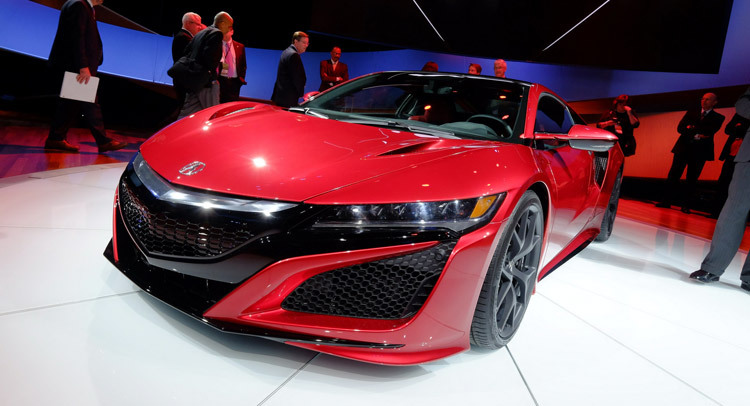 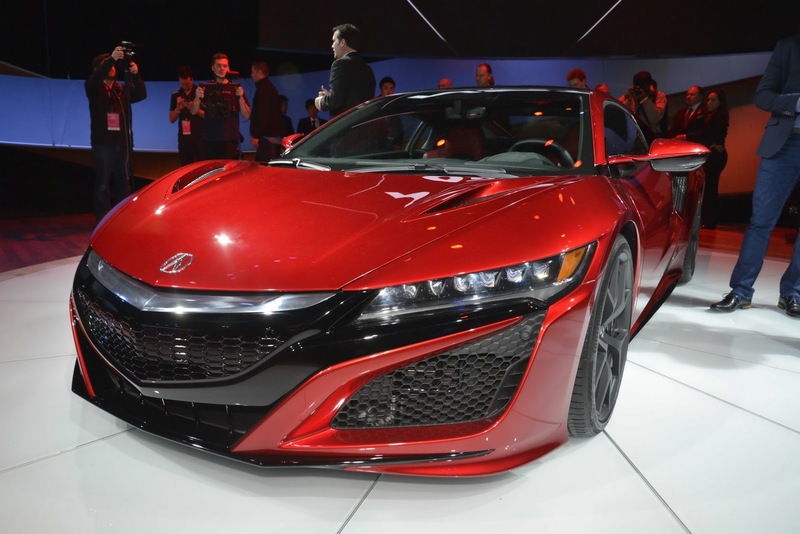 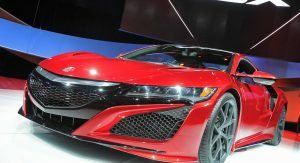 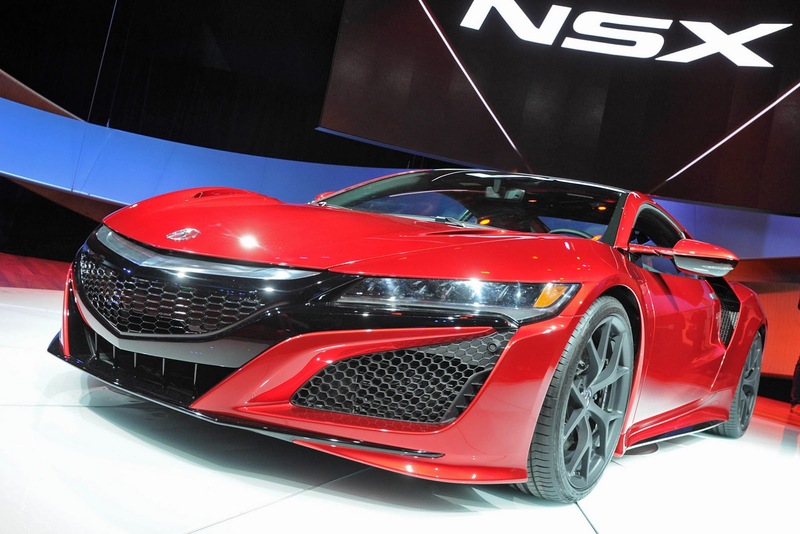 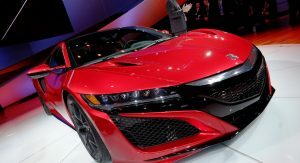 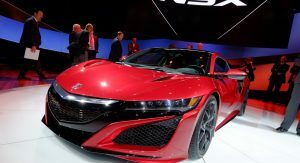 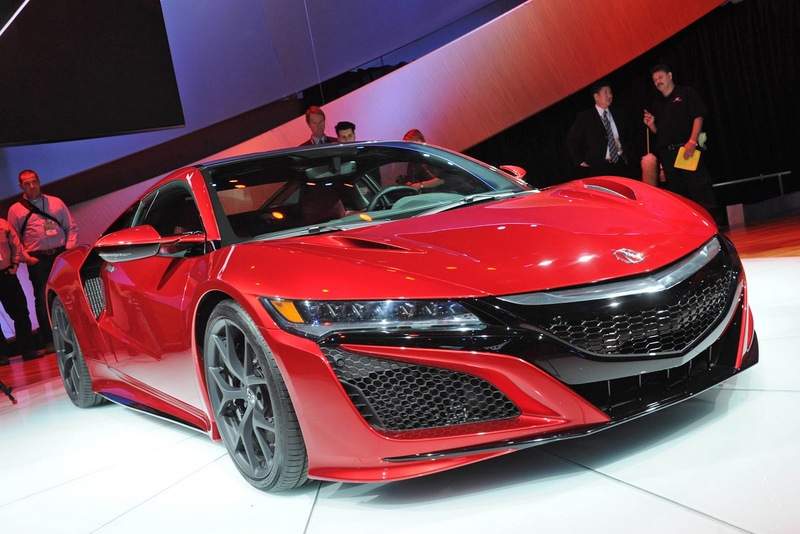 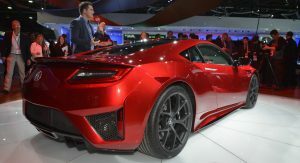 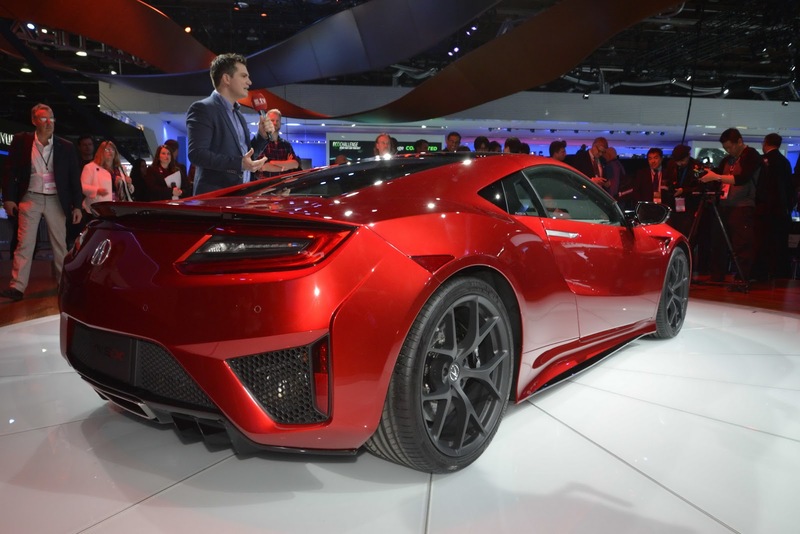 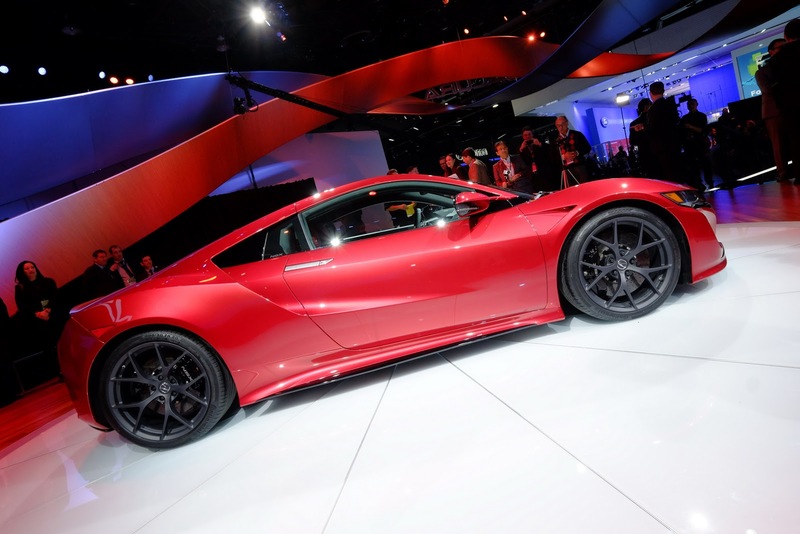 In order to fit the new twin-turbo V6 and the 9-speed DCT box, the production vehicle was lengthened by 3 inches and widened by 1 inch – compared to the proportions of the NSX Concept shown in 2012. 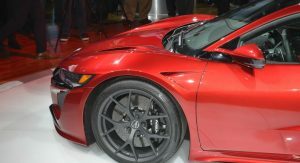 The production NSX is also 45 mm longer, 130 mm wider and 45 mm taller than the 2005 model, also having a much larger wheelbase at 2630 mm. 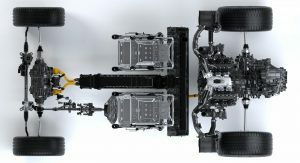 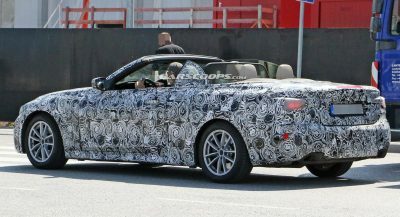 The front and rear tracks have also grown. 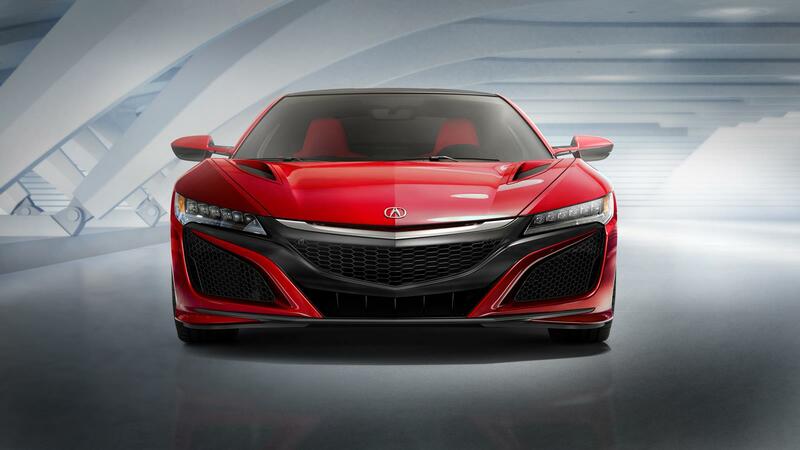 Inside, the NSX boasts excellent forward visibility, simple and intuitive controls and class-leading ergonomics – especially in the seat, which according to Honda, features top-class holding performance with outstanding comfort. 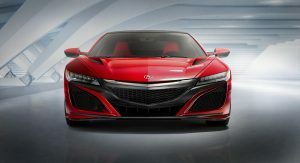 The NSX’s instrument cluster features a dynamic TFT display while the center console holds the power button that redies the sport hybrid powertrain. 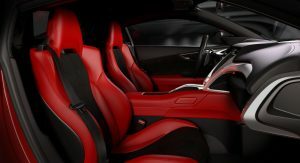 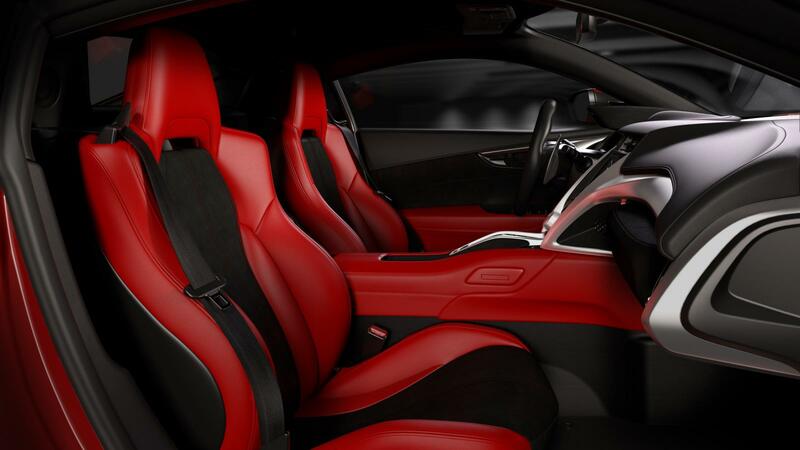 The interior looks exceptional and we appreciate them using leather even on the upper-dash area and there might be a hint of Porsche 918 Spyder in the design of the center console tunnel. The so called Sport Hybrid Power Unit holds the all-new twin-turbo mid-mounted DOHC V6 engine, mated to an Acura-developed 9-speed DCT. The V6 employs a race inspired compact valve train and dry sump lubrication system which helps lower the center of gravity. The rear direct drive electric motor supports acceleration, braking and transmission shifting performance while the NSX’s front wheels are driven by twin independent high-output electric motors which deliver instantaneous torque response and dynamic left-to-right distribution. In other words, just like with the 918 Spyder, you won’t have any problems with your low-end torque response. 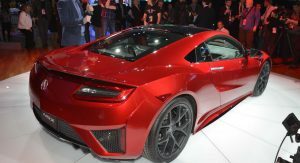 We don’t have any official numbers such as total horsepower, top speed or a 0 to 62 mph time, so stay tuned for more info on its specs. 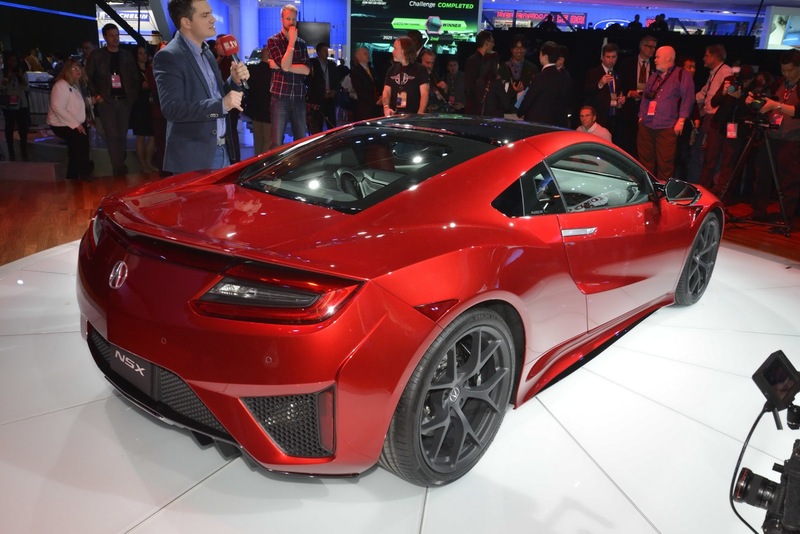 As for the build of the car, the NSX’s body utilizes a space frame design (aluminum, ultra-high strength steel and other advanced materials) anchored by a carbon fiber floor. 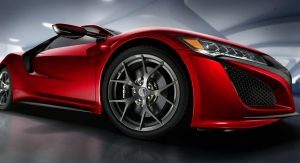 The NSX also utilizes a fully independent, all-aluminum front and rear suspension that helps put its power down through ContiSportContact high performance Continental tires which measure 245/35Z R19 in the front and 295/30Z R20 out back. 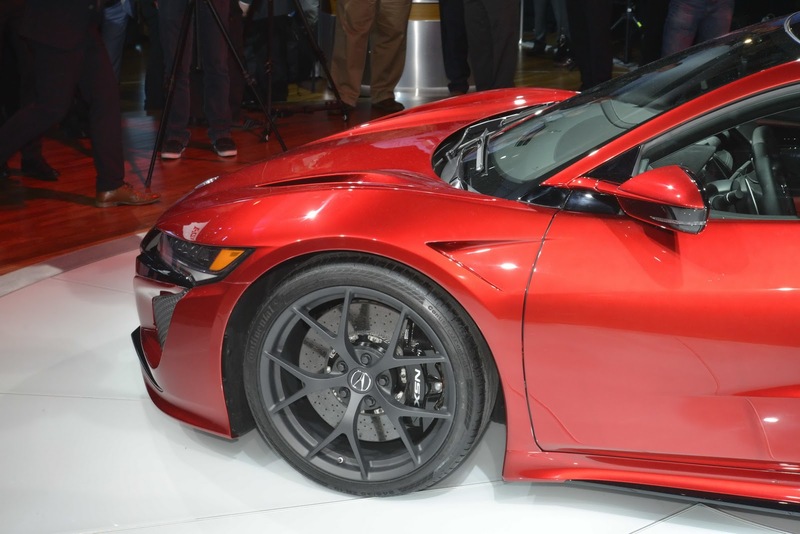 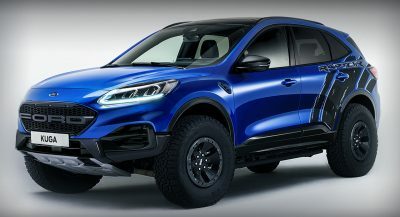 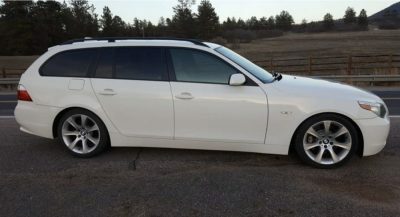 These are mounted on 19×8.5″ front and 20×11″ rear aluminum alloy wheels. 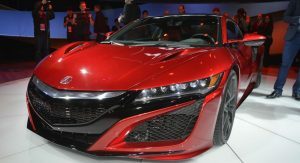 The handling department sounds pretty darn good as well, thanks to the Sport Hybrid Super-Handling All Wheel Drive system (Sport Hybrid SH-AWD), which to be fair, hasn’t looked all that impressive in previous Acura models but something tells us it’s going to perform a lot better in the NSX. 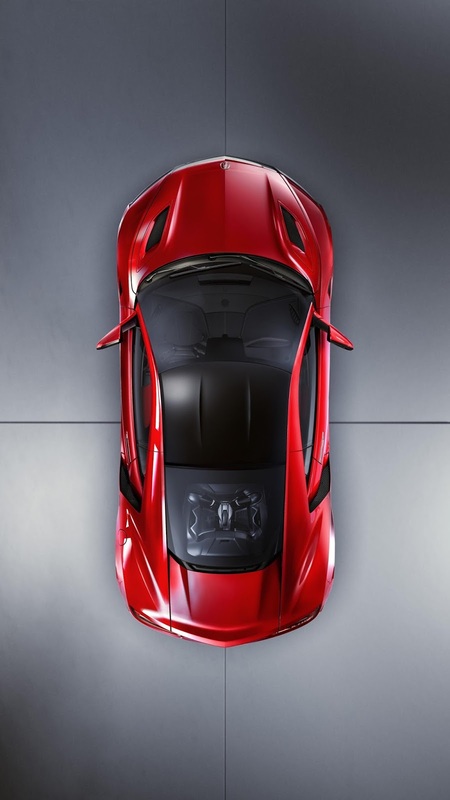 Once you start it up and get on the power, you can choose different dial-operated Integrated Dynamic Systems such as Quiet, Sport, Sport+ and Track modes, as the system will adjust engine, motor, transmission and chassis response as well as engine sound level. 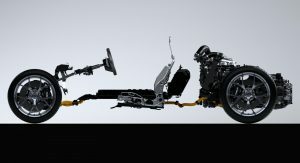 Quiet mode is obviously for electric-only driving at lower speeds for short durations while Sport and Sport+ will help you increase the vehicle’s responsiveness. The full spectrum of its performance capabilities is revealed once you select Track mode. 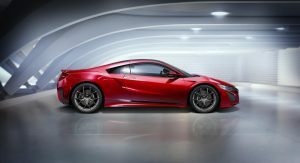 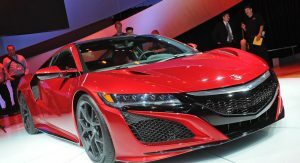 The NSX will be manufactured exclusively at the Performance Manufacturing Center in Marysville, Ohio, it will feature several trims and it will go on sale in the US this summer – with first deliveries coming this fall. 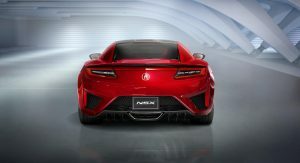 As for the price, we don’t have a final figure yet, but Acura said it expects to start somewhere in the mid $150.000 range.